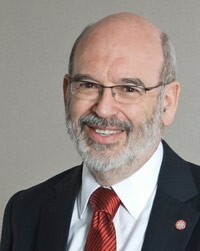 LENScience was established in 2006 by the founding Director of the Liggins Institute Professor Sir Peter Gluckman with a view to addressing the critical issue of the widening gulf between science and society. Sir Peter believes that scientists have a duty to explain their work to the public and to encourage children to see science in their future. The Liggins Institute has made a large investment through the establishment of LENScience which encourages school teachers and students to access and interact with the scientific research community. Founding Director Jacquie Bay is a science teacher with more than 20 years’ experience. Prior to joining LENScience, Jacquie was Head of Science at Diocesan School for Girls in Auckland and is an experienced science and biology teacher who is actively involved in biology education at a national level. Jacquie leads research in science communication and translation to support improved health outcomes for our communities. Working with Jacquie from 2008 - 2012 Helen Mora made a significant and lasting contribution to the development and delivery of LENScience programmes held in the Sir John Logan Campbell Classroom located at the Liggins Institute. Helen is co-author on each of the key LENScience learning modules developed from 2008 - 2012, now enabling schools throughout New Zealand to link learning to the work of New Zealand scientists. Prior to joining LENScience, Helen was the Ministry of Education’s Senior Subject Advisor Biology for the South Island. Helen is now Head of Science at Linwood College in Christchurch where she is continuing her link with LENScience, developing our first South Island research partner school collaboration. The LENScience programmes have been enthusiastically embraced and endorsed by local educators in New Zealand. Our cautious estimate is that from inception to December 2012 the programmes have reached a minimum of 45,000 students across more than 200 New Zealand schools. It is anticipated that this will grow significantly, particularly from 2013 onwards. Kaua e rangiruatia to hā o te hoe; e kore tō tātou waka e ū ki uta. Discover the history of the University of Auckland's first Large Scale Research Institute - Liggins. Its focus is on translational research on fetal and child health; the impact of nutrition on health throughout life; epigenetic regulation of growth and development; and evolutionary medicine. Click the arrow on the image to your right to view the video.